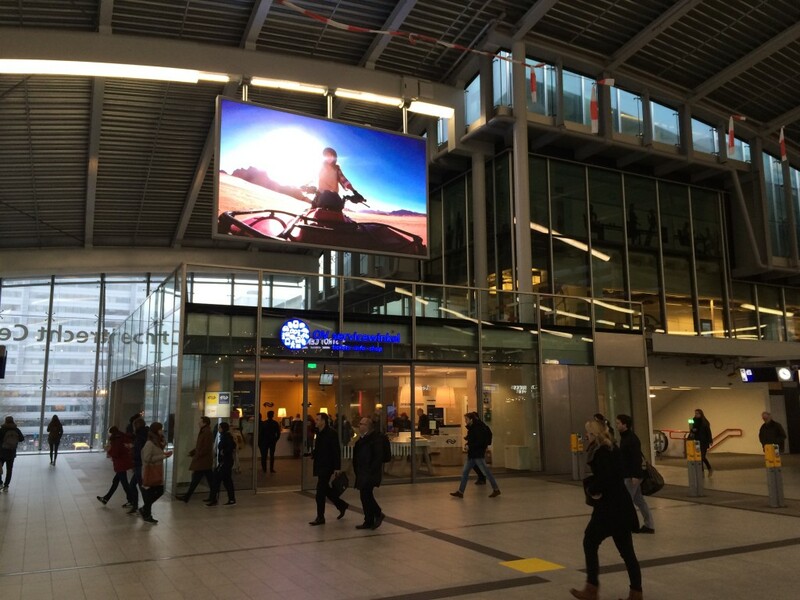 We arranged a 10 seconds inspiring video spot about Jordan for digital screens in Hoog Catharijne – Utrecht Central Station. 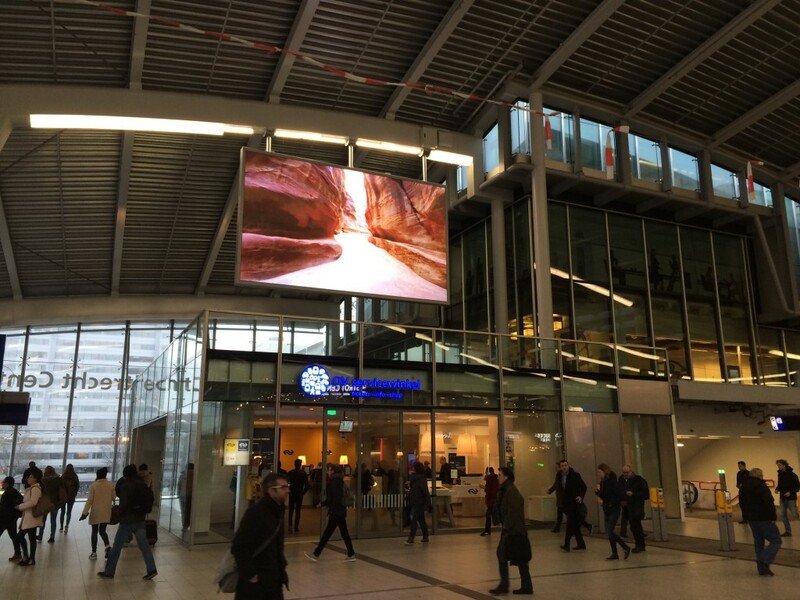 This video spot was shown on Utrecht Central Station during the Vakantiebeurs, which is the largest consumer fair in Europa. 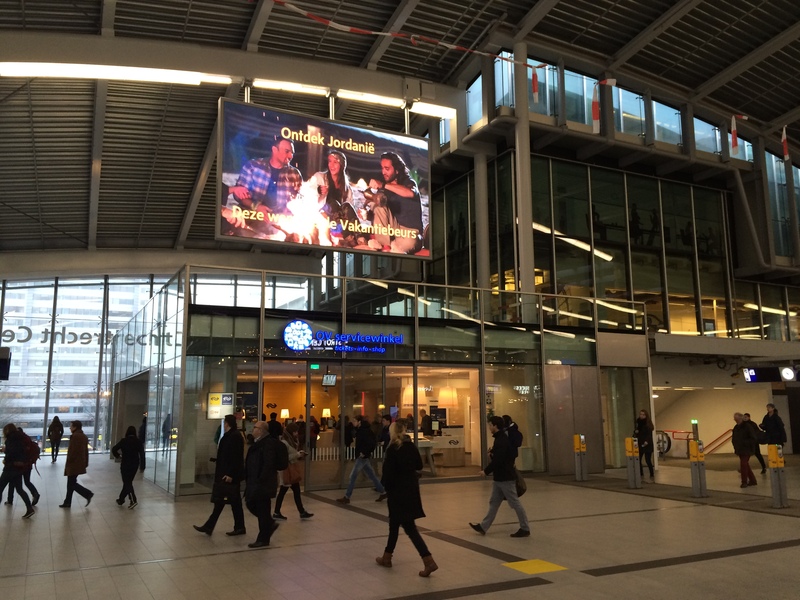 Many visitors of the Vakantiebeurs passed the Central Station of Utrecht, this is a very high traffic location.